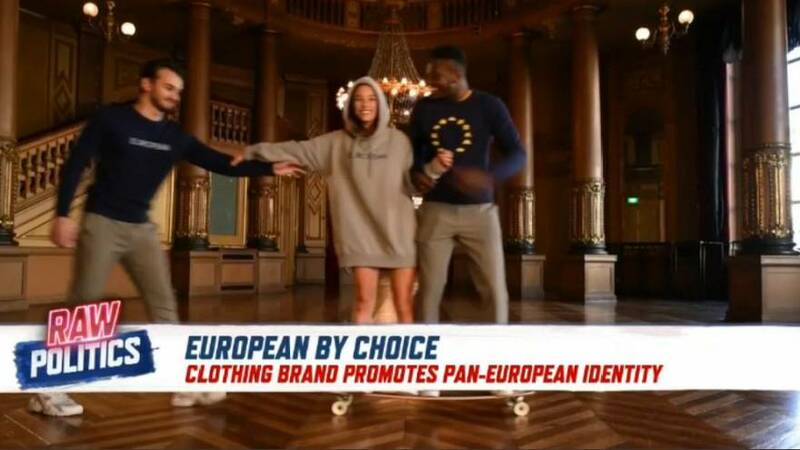 A pro-European fashion brand has hit the shelves with hoodies and sweatshirts branded with the European flag. "There is no link to the European Union," Senne Dehandschutter, founder of the clothing company European by Choice told Euronews. "I always felt European, but Europe is not presented in culture, it is always linked to politics and the first thing should always be culture", the Belgian said. He added that the company was not launched in response to the UK's withdrawal from the EU and that the starred flag "is really the continental flag of Europe". The brand has so-far proved popular — Dehandschutter said the company was launched via crowdfunding that went viral and customers are a "moderate group".